I'd love to get some input on a potential Burma itinerary from this well-traveled readership. Basically this is a bus, train and ferry trip starting in Phuket and going north to Yangon. I'll be traveling in a group of five people right at the end of December and beginning of January, and we have about 10-12 days to play with. We want to see the Mergui islands, explore some out-of-the-way beaches and also check out Yangon. We're on something of a budget, so a Mergui dive safari or cruise is probably too pricey. But based on what I've read about newly open border crossings and travel options along the south coast, it seems we might be able to at least get a taste of the area via public transit. The earliest we can arrive in Phuket is Dec. 30 and we must be back in Hong Kong by the evening of Jan 10. -December 30: Fly into Phuket, find a cheap place to stay not too far from the beach, do some swimming, eat out, ring in the new year. -Jan 1 or 2: Hire a car or take the bus north to Ranong, where we cross into Myanmar. Sleep that night in Kawthuong. -The following day we take a ferry north to Myeik, traveling through the Mergui Archipelago. As far as I can tell, this is the only way we can see these islands aside from paying a grand or more for a cruise. -From what I've read, the ferry all the way to Dawei is about a 12-hour journey, but we might break it up by stopping off in Myeik for the day. Is it a cool town? Worth a stop or should we just continue to Dawei, given our time constraint? -Another ferry gets us to Dawei, where we'll stop off to try and reach some fairly remote beaches. So what are we at, Jan 4 or 5 by this point? -From Dawei we may have to take a bus or train to get to Mawlamyine , but I'd be interested to see if we could hire a car or a boat, especially as our group size might help defray per-person costs. Anybody done this journey? Is it possible to fly to Mawlamyine if all else fails? -Mawlamyine is supposed to be a cool town, so a day or two there is probably in order. 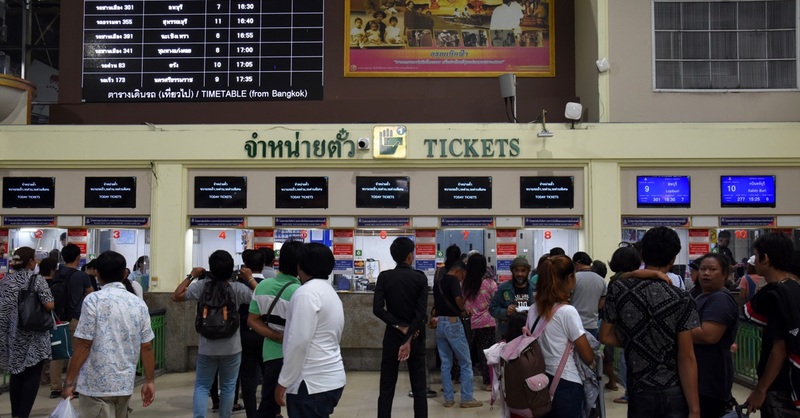 -And from there we fly or take a train to Yangon, where we can use up any remaining days checking out that city, hopefully leaving for HK not too early in the morning on Jan 10. What am I missing here? Is this a realistic trip plan? Too much stuff going on? Too little? Is the travel estimated about right? Like I say, any and all input appreciated. Myeik is cool but Dawei cooler, make sure you checkout Nabule Beach while your in Dawei. dawei is greener and more beaches, myeik more for historic buildings and old trading port. you can only fly direct to yangon from dawei, only slow boats take the journey so not an option either, renting cars in Myanmar is getting cheaper but train or bus is still going to be best, bus is much quicker, train is very slow but both amazing jungle. Thanks for the input. Can't wait to hit up Dawei! I think we might be amending this itinerary a bit to skip Mawlamyine. As cool as that city sounds, a visit would probably spread us too thin, making this trip more about buses and trains than it is about actually doing stuff. So I guess now we'll probably be flying directly to Yangon after a few days exploring around Dawei. I'll be sure to offer a report.